Square Breaker is a simple, yet challenging puzzle game where you eliminate blocks to get the high score. When the bar is filled twice, you get a coin that can help you in later levels. Patrick is starving , lets help patrick to find cheese in bikini bottom. 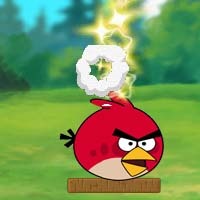 Drag mouse to cut rope, at the same time, collect as many as stars as you can.let watermelon fall down angrybird mouth.